Being a fan girl of Korean drama series and movies didn't began just like that. Way back the late 90's when the gorgeous men of F4 or better known as the Meteor Garden (Taiwan) hailed the national television here in the Philippines, almost every household couldn't resist the asian telenovela craze. Wuhoo! I was in highschool back then when the Asianovela Craze started. From there, other Asian countries shared their home-grown talents in other neighboring countries, especially to the Philippines. This entry post may include drama series from other countries that left a strong impact in my heart. Heart talaga? Haha! And definitely, no particular order. I will be posting a review for each or probably things that I can remember about the series. Some dramas were watched like a long time ago so my memory will not be as good anymore but I will do my best to do a writeup that would give justice to the films. Haha! Comments, suggestions and violent reactions are always welcome. First on my list would be the Korean Drama that made me laugh, smile and cry countless times. Can you tell me which Korean series is the picture from? Wee. Rain and Song Hye Kyo really touched the heart of so many with this masterpiece. It's a cat and dog film who always ends up fighting, arguing and hurting each other's feelings but behind those petty fights is an in denial love waiting to be uncovered. Full House will be a forever favorite. I even watched this more than three times and still, it didn't fail to make me laugh. Good times, indeed! This was first aired in the Philippines by the GMA Network, and years later they made a Philippine version of this. Pretty good but still, nothing beats the original. The OST of Full House was also amazing. Until now, I've been keeping them in my playlist in my music player and phone. It always reminds me the wonderful storyline of the series. 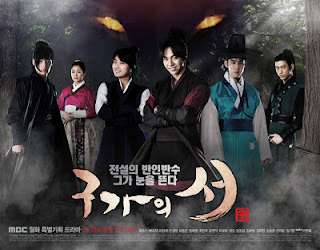 GU FAMILY BOOK / LOVE STORY OF KANG CHI (2013) - NEW!!! JUST IN! Same with Full House, Princess Hours do have a beautiful soundtrack. Super love!! Enjoy! Honestly, I couldn't even remember how many times I've seen this drama. You're Beautiful is generally beautiful. The casts, their on-screen characters, the story -- everything! It is just so perfect. At first, I was really hesitant to watch this maybe because Jang Geun Suk looked gay or some sort of whatever but when I have survived half of the first episode, I just couldn't help it, I think I have finished it in one day. OMG. The boyband AN.Jell was a phenomenal band, the story actually revolved around them. Well, your eyes are on feast while watching this. A lot of the scenes will make you laugh, fall in love and would break your heart. Every episode is worth watching. 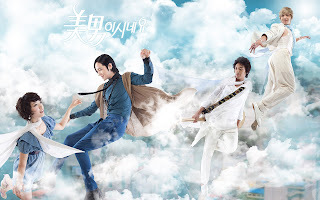 This is definitely one of my favorite dramas of all time! The happy scenes are just irresistible. From the bodyguards to the love team, it was full of passion, love and excitement. Nonetheless, I enjoyed watching it and I hope you would too if you haven't seen it yet. I can guarantee that after watching the whole series, you would feel like watching it all over again (like I did). Well, Rooftop Prince is definitely a must-see Korean Drama!! Another Yoon Eun-Hye series. What is not to love about her? This is actually the first series that I saw her with that short hair. I laughed a lot and cried a little. 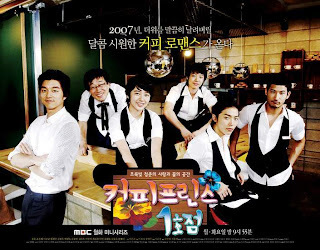 Coffee Prince was sort of a feel-good drama for everyone to see. It's light yet brings out the strong character of each cast. By just looking at it, if you haven't still watched it, you will be thinking that it is an another-gay-flick, but no, there's more to it than meets the eye! Another thing is Gong Yoo is love. Need I say more? Cheers for the brilliant actor named Lee Min Ho. I can't deny it, I'm a major fan. Hehe! Btw, I have watched almost all of his series/movies except for Faith. Anyway, this is yet another masterpiece. Personal Taste (Korean Title) is sweet, undeniably charming and packed with surprises. I love the transition! I love the roles of the characters, Lee Min Ho being an Architect (and a trying hard gay) and Son Ye Jin as a furniture maker. I love series which is related to the arts and crafts. 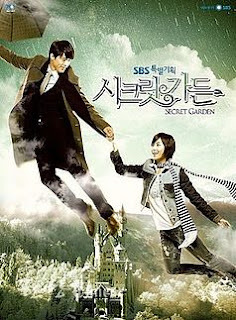 Although there are parts of the story that is a bit too slow, well, that's pretty normal for a Korean drama. Overall, both actors were pleasing to the eyes, no dull moments! Look at that photo!! Can you imagine other guys portraying their roles? Me, no. Generally, Boys Over Flowers made me crazy although I've seen Hana Yori Dango and Meteor Garden before, still, BOF got me hooked up and made me suffer with those sleepless nights. Haha. Some parts may come so dragging and full of angst but the Jan Di and the guys are too charming to hate. It's a Korean Drama with lesser evil. The OST, story, actors and everything in between made me love this series to bits. How I love Kim Hyun Joong and Jung So Min! Sorry, this isn't a Korean drama rather it's a Taiwanese series set in Shanghai. I had really no plans of watching this before but out of boredom, I did. Well, I'm just happy I got bored because I was able to see a funny drama with lots of twists. Show Lou and Barbie Hsu (San Chai in Meteor Garden) starred in this romantic comedy. The usual, Barbie was rich and Show was poor. The love didn't develop that fast, it was slowly but surely (as they say) but despite the slow transition of the story, the love was worth it. Corner with Love was hilarious, weird yet lovable and nonetheless, worth watching. Obviously, I'm into Romantic Comedies. Haha! Happy watching What do you think? :) Thanks for dropping by!! I just don't have the luxury of time to write a detailed review for each, but will do, soon! Again, thank you for dropping by!! Those are my favorites too. Great selection of k-dramas. I love them all. Thanks for dropping by! Nice website btw.